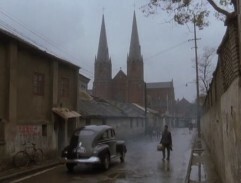 Once I’d booked the trip to Shanghai a couple of months back I started to take a much closer look at movies filmed in Shanghai and was quite surprised to find that very few films were actually shot in the Chinese city. 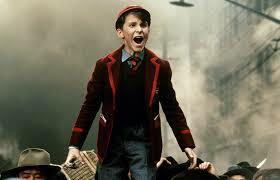 One that was though was Steven Speilberg’s 1987 epic ‘Empire Of The Sun‘ which featured Christian Bale a long, long time before he became the Dark Knight of Gotham City in the Batman flicks. 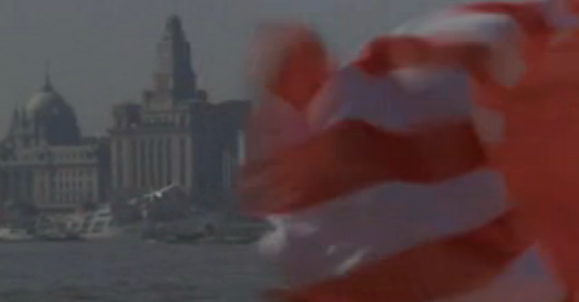 The early scenes of the movie were shot in Shanghai with a brief glimpse across the Huangpu River of the famous Peace Hotel next to the Bank of China building appearing two minutes into the film to the tune of the boys choir. This hotel was once the most luxurious hotel in the Far East and its lobby is supposedly still a great example of Art Deco interior. 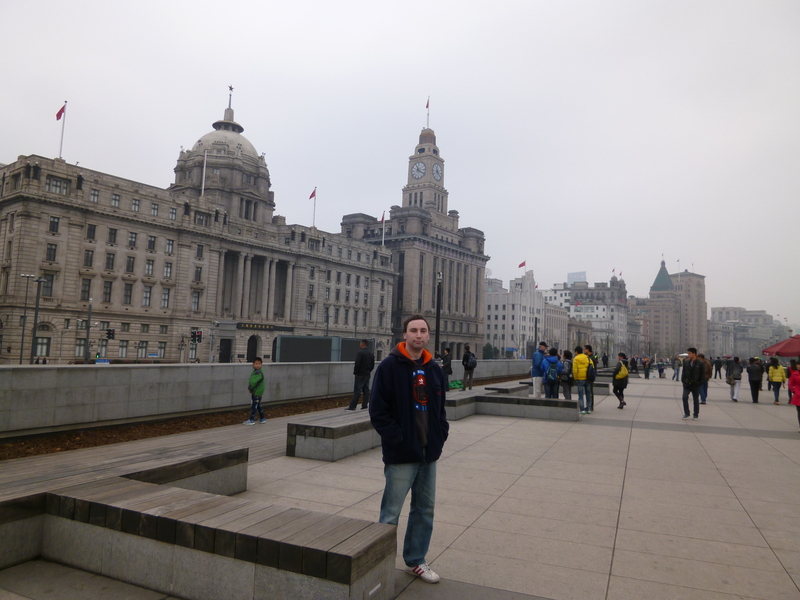 It stands on the Bund at 20 Nanjing Donglu and made an impression on me for its pyramid roof as well as old-style look which is a great reminder of Shanghai’s past. 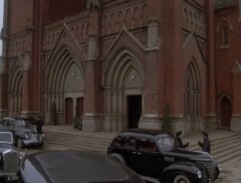 The colonial home of Jim and his family was actually filmed in the city’s English settlement with the interiors shot back in Britain in a bungalow at Sunningdale in Berkshire. 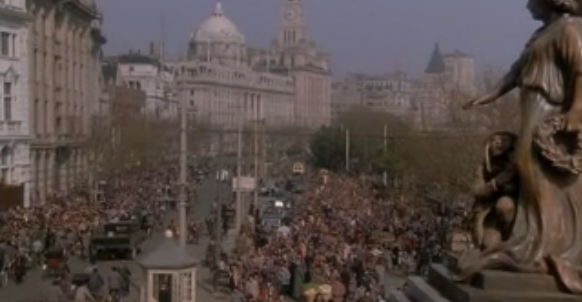 The family are on their way to a fancy dress party 10 minutes into the film where the enormous crowd scenes of mass tension and unrest on the Bund were somehow coordinated by Speilberg. The former Hongkong and Shanghai Banking Corporation (which I never knew until this trip was the acronym HSBC despite banking with them for most of my life!) 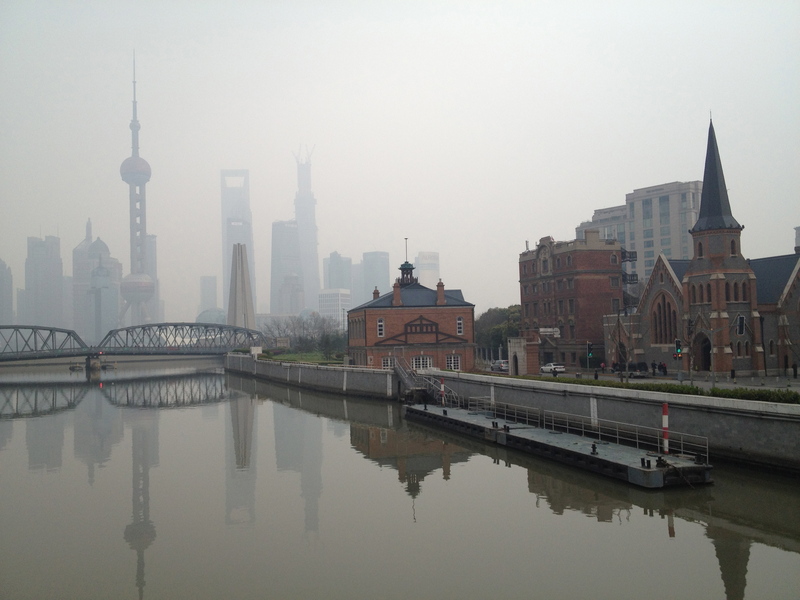 building features prominently and today holds the Pudong Development Bank and some offices. 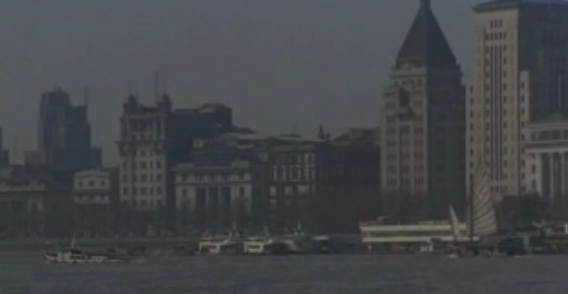 The view across the river with the Oriental Pearl Tower in the background (above) doesn’t feature in the film but shows the view in the opposite direction. 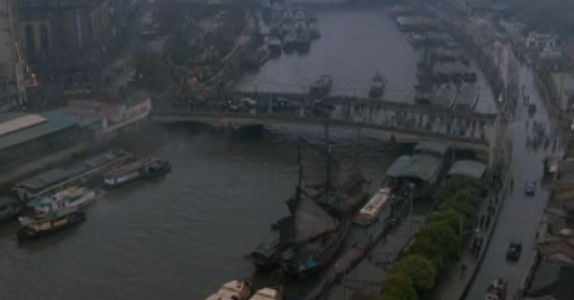 The bridge seen on 12 minutes is the Waibaidu Bridge (Garden Bridge) which is adjacent to the Bund and connects the Huangpu and Hongkou districts. The present bridge (below) opened on 20th January in 1908 and was just round the corner from our hotel. Jim later signals to the Japanese Zero aircrafts flying above and some 25 years later the shot is pretty much identical which is always a delight for movie location geeks like myself. The building on the right is the aforementioned Peace Hotel and the one on the left is the Peace Palace Hotel which is also commonly known as the Peace Hotel South. 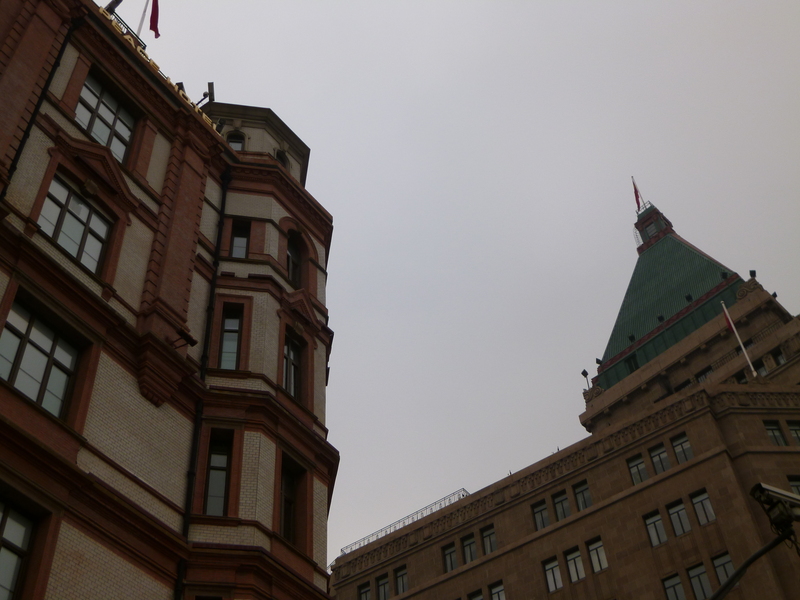 Its location is 23 Nanjing Donglu (Nanjing Road). 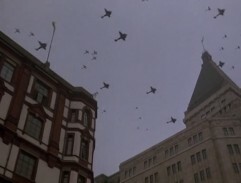 The rest of the film was made in Elstree Studios in Hertfordshire, Knutsford in Cheshire and Trebujena in Cadiz, Andalucia (Spain) was the setting of the prison camp set. 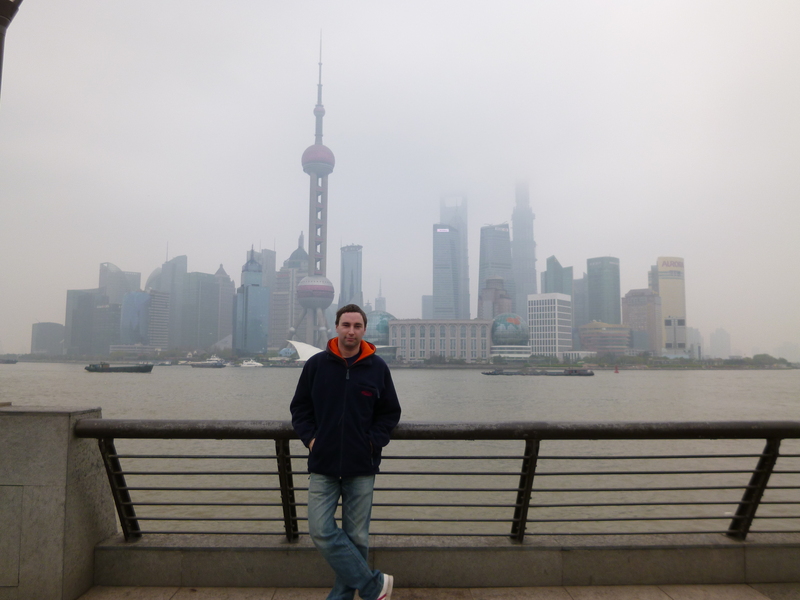 This entry was posted in Asia Travel, Movie Locations and tagged christian bale, empire of the sun filming locations, films made in china, movies set in shanghai, shanghai, shanghai filming locations, shooting locations shanghai, Steven Speilberg. Bookmark the permalink.